Oh, how I love avocados! I had never eaten one before doing Grace and Strength, and I can say it was love at first bite! I made this dressing a few weeks ago and I have drizzled it over meat and salads--it's great for both! If you've made this before then leave a comment with your favorite variations! This clean eating recipe is for Phase 3 and 4! My kids have been asking for chocolate syrup lately but I am having a hard time finding any that doesn't have HFCS (high fructose corn syrup). I've added this to one more item we'll be making at home! This recipe worked well, was easy to make, and they like it! I used coconut sugar because it's the healthiest option for us. You can use this sauce on fruit, ice cream, in milk, or wherever you need a chocolate fix! 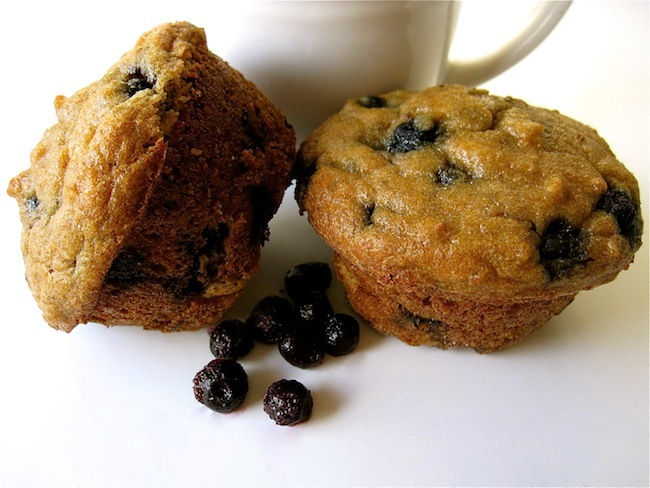 Clean-eating blueberry muffins: I recently came across an amazing muffin recipe that looked so good, but it included a few ingredients that I didn't want to use (or didn't have on hand). So, I tweaked it just a little bit! Let us know when you make it and what you think! It's that time of year--the smell of BBQ grills fills the air and the sound of friends and family enjoying time outside is heard often! Here are two great ideas to take along to your next picnic or barbecue! These recipes are Phase 2 approved! BBQ Seasoning and Coleslaw! Years ago I went to a local tea room with my mom, and they served the most delicious strawberry soup for lunch. This has become a summertime favorite for my family ever since, and this year I'm making it just a bit more healthy! Here is a Phase 2 version that will definitely hit the spot on a hot afternoon! This counts as a fruit and dairy serving on Phase 2.